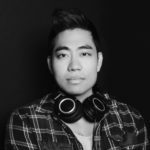 Jerry Jean is an NYC-based Taiwanese American songwriter, producer, and musician who has been creating some beautiful compositions and music videos on YouTube for several years. I was drawn to his most recent video for his soul-inspiring original song, Do We Reach Home, featuring a captivating dance performance by Chloe Noelle Crade. Directed by José Andrés Cardona, the video showcases Jerry’s solid vocal talent, authenticity, and aspirational spirit. In all of his works, his emotion-driven and occasionally melancholic musical themes remind one of the classic pop singer-songwriters of yesteryear. One can also easily imagine his songs in a musical, and perhaps this is where his NYC roots may be influential. One thing is for certain, he sings with such heart, and his music should certainly stand the test of time. We look forward to seeing where his musical career goes. Jerry Jean is already an International Songwriting Competition winner, and has performed with popular artists including Florence + The Machine. Several of his prior YouTube videos have reached over 100-250K views! 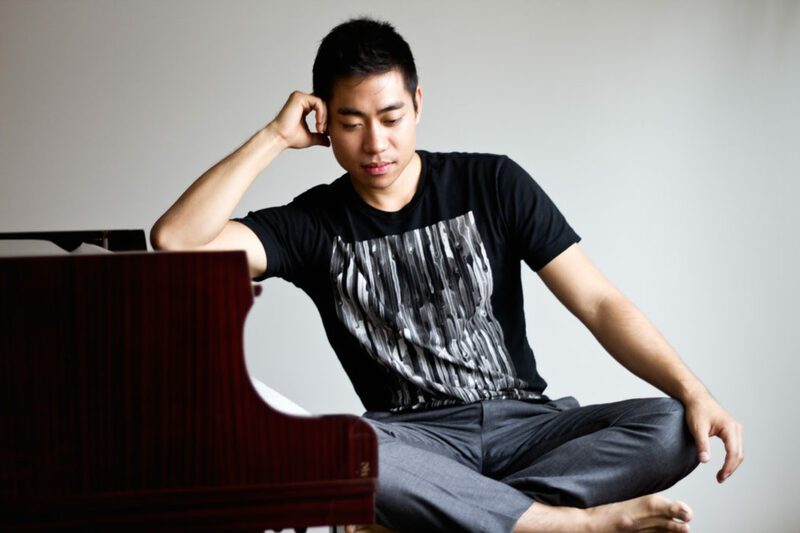 Be sure to check out past collaborative pieces with cellist Eru Matsumoto playing popular favorites including Adele’s “Someone Like You” and “I Dreamed a Dream” from Les Miserables. 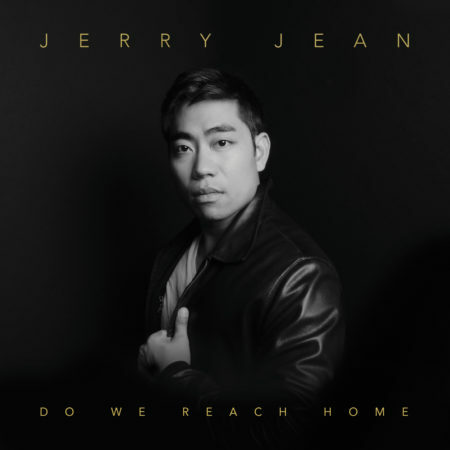 Also, watch this cuteness-overload video tribute to his daughter, “In My Heart – Song for My Daughter.” Listening to his music will make you want more: Jerry’s debut full-length album, Do We Reach Home, releases February 24th, 2017. Ho Chie: Hi Jerry! It’s great to chat with you today! You’ve got some excellent well-produced videos featuring some beautiful music out there! Jerry: Thanks, I appreciate that! Just trying to match good tunes with solid visuals. H: So, tell us a little more about yourself. You’re a songwriter, producer, and musician, right? How long have you been doing this? J: I started writing songs while I was a student at NYU studying vocal performance and music composition. I began producing music after fiddling with Garage Band software, and ultimately Logic Pro, on a MacBook right after school. Before all that, I was rocking classical violin and piano like your typical Asian kid! H: About your earliest exposure to music, did your parents expose you to it? When did you discover your passion for it? J: I took violin lessons from age 4. That was followed by piano at 7. My Taiwanese parents wanted to instill habits of discipline and hard work, and classical music lessons was one way to achieve that. My father had visions of me going to Harvard and becoming a prestigious doctor or lawyer, and music should have stayed a hobby in his mind! It must have been quite concerning to my parents when they saw me so focused on learning vocal technique and playing shows in college. My passion for music, cultivated largely by the childhood music lessons, stuck with me. I couldn’t shake it despite actually trying to. H: I’ve heard you’ve also had some brushes with fame through your musical career. Tell us a little about those experiences. How did that happen? As a multi-instrumentalist, I’ve been fortunate to have performed with popular artists such as Florence + The Machine, who I adore, and even Boyz II Men, a group I had on repeat as a child. Playing with famous acts certainly brings cool experiences, such as performances on network TV, concert halls, and recordings. The gigs stem from the relationships built with fellow musicians over the years, and also by being on the radar of music contractors who have heard me play. But some of the best gigs have actually come from people simply finding me on YouTube and shooting me an email! H: That’s awesome. You currently make your own music and produce videos. How do people describe your sound, and where do you find your influences? J: Right now I’m making vocally-driven chamber pop. The music and artists that inspired me growing up–Billy Joel, Stevie Wonder, The Beatles, Chopin, as well as the indie-electronic jams that I play at the gym–all influence my sound. There’s a theatrical element too, which makes sense since I spent years playing and performing in musicals during and after college. Living in NYC, I try to hear my share of concerts, everyone from the NY Philharmonic to my talented singer-songwriter friends. It all feeds my brain. H: You’ve got your first full-length album coming out later this month. Can you share a little more about it? J: The album, Do We Reach Home, explores the strains of modern living, human connection, and renewal. Sonically, it’s cinematic and grand, and I sing over an expansive piano-driven backdrop with lush strings. The album’s 12 songs were recorded with all live instruments for an organic sound. Some incredible NYC chamber musicians, players adept in both the classical and rock worlds, perform on the album. The majority of the recording was done in my studio in Harlem. Bryan Cook (One Republic, Train) mixed the songs, and 11-time Grammy winner Bob Ludwig mastered the record. It’s also being released on vinyl for all the analog lovers out there! Overall, Do We Reach Home is a mature and melodic pop record, and an everyman’s journey through longing, disillusionment, and hope. H: Thanks so much for your time today, Jerry. Good luck with everything moving forward! You’ve clearly got a lot of talent, and I’m excited to see where it takes you in the future! J: Thanks! So great to chat with you today.